Mankind has truly come a long way and whether it was the creation of the great pyramid of Khufu or the first man to walk on the moon, man has always excelled at achieving the unimaginable. 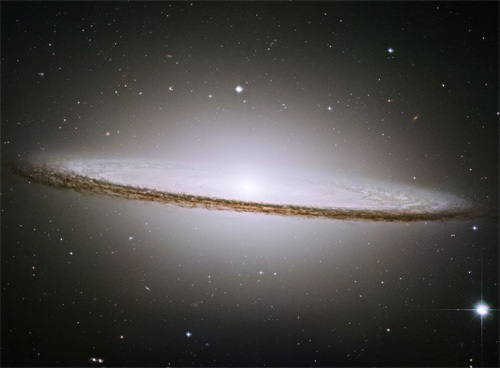 This is where the Hubble telescope, named after scientist Edwin Hubble comes into the story and as opposed to Earth based observatories, Hubble allowed humanity to gaze further into the universe than before. 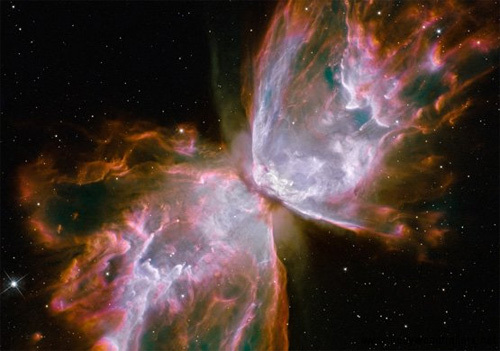 Unfortunately Hubble has been plagued with its own issues and when it was originally launched in 1990, the main mirror in the telescope had a serious flaw which caused its imagery to blur. NASA rectified the problem in 1993 which allowed mankind to once again witness creation itself in a new light and as a result, some of the universes most amazing pictures were sent back to Earth. 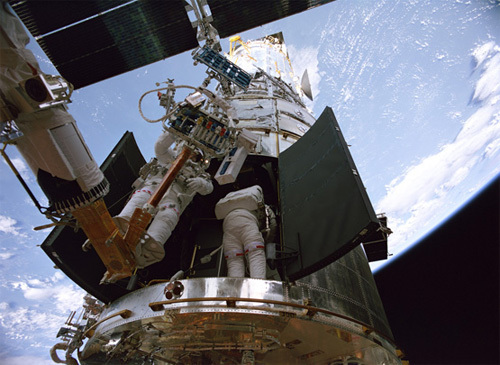 With three more visits back to the Hubble for servicing, this documentary revolves around the fourth and final servicing of the Hubble Telescope by the crew of the Atlantis. This 45-minute 3D documentary follows the astronauts of the Atlantis as they attempt to upgrade and rectify the issues with this powerful satellite observatory. 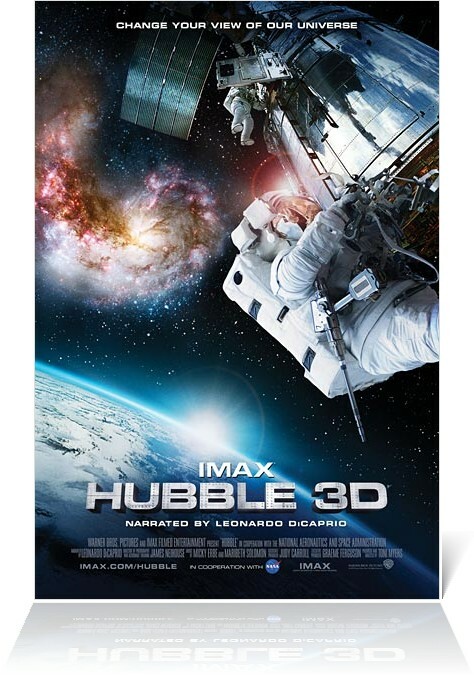 As you sit back and watch Hubble 3D, you are given a front row seat of how NASA performed one of the most difficult tasks in the world. This task was to catch the orbiting Hubble telescope by the space shuttle, update and replace parts and to make matters worse, imagine trying to do that in a space suit with oven mittens. One wrong move by the astronauts could not only damage the telescope but also threaten their lives. 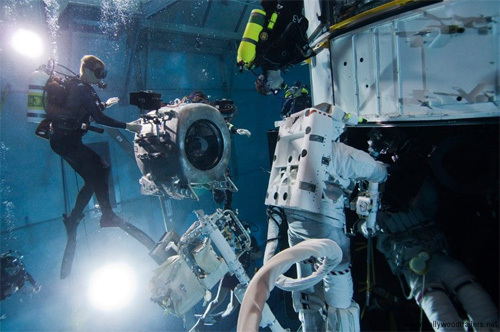 For a documentary, it's quite a nerve biting experience and to prevent any heart palpitations, the producers carefully add a variety of different footage from the astronauts training underwater to perfect their mission to some laid back scenes on the space shuttle that almost makes you feel like you are part of the team. The 3D images of the documentary only make it more realistic but the highlight of this short film for me were the amazing Hubble images of galaxies far far away. At the start of the documentary when you first see Earth, you realise how insignificant our lives can be and then when you witness more sights of the universe, thanks to Hubble which make you realise that Earth is only just a spec of sand compared to the billions of galaxies that inhabit our universe. This is one documentary which truly opens your eyes to our sheltered life on our little blue planet.